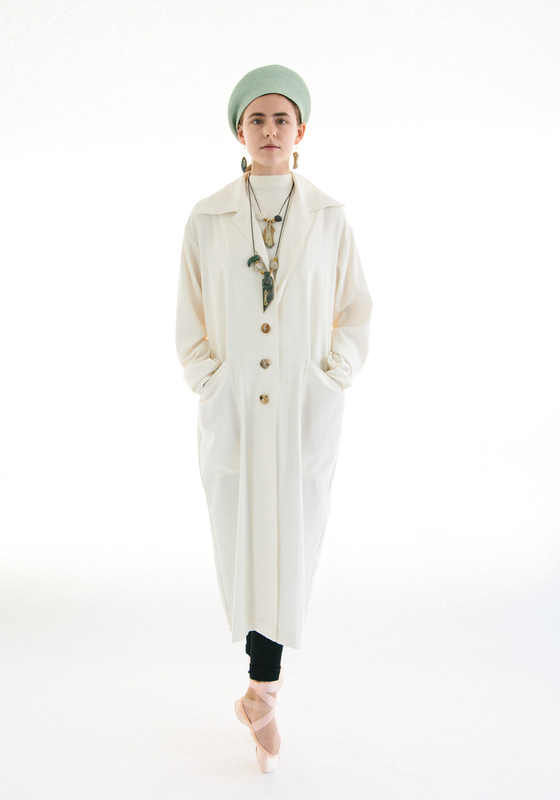 One Size Fits All White Crepe Shirt/Dress Loose Fit. Buttons At Front. Patch Pockets At Front. Buttons At Cuff. Dry Clean Only. Mariam designs uncomplicated day wear made of robust materials. Mariam believes that attention to detail produces the best designs. She hand picks the buttons, fabric, and trims before designing the form. She tests, plays, and drapes until the pieces come together. Her atelier is her laboratory. She experiments until she is satisfied she’s created the best design possible. Mariam’s first collection is called “Timeless". The collection has been hailed as cosy as well chic, due to contrasting fabrics, and colours that sync together to create a timeless aesthetic.